The seventh plays uphill so is always one more club than you think. 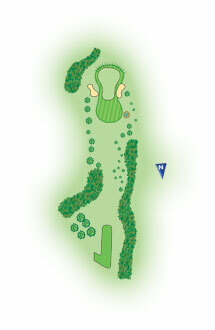 Bunkers either side of the green are the only hazards on the hole. A sloping green that can be difficult to read is the other test.